Basic Support: 2 capsules / day: two times a day one capsules 20 minutes before a meal, or once two capsules 20 minutes before a meal. Stronger Support: 4 – 6 capsules / day: two times a day 2 or 3 capsules 20 minutes before a meal. Maximum Support – support during serious illness: 8 capsules / day: two times a day 4 capsules 20 minutes before a meal. 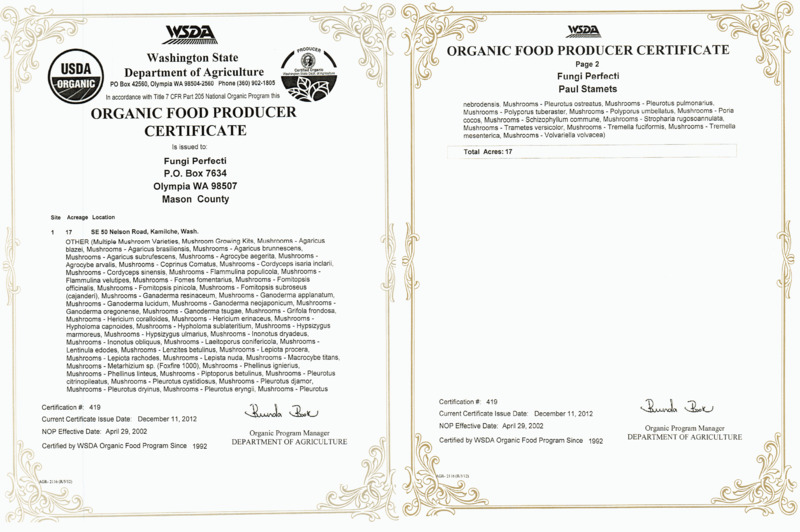 Regularity and continuity is important when taking fungi products. For maximum support we suggest to take these capsules for eight months alongside any treatments and then to review if a lower dosage is more appropriate. Fungi Perfecti offer the finest mushroom products available today. 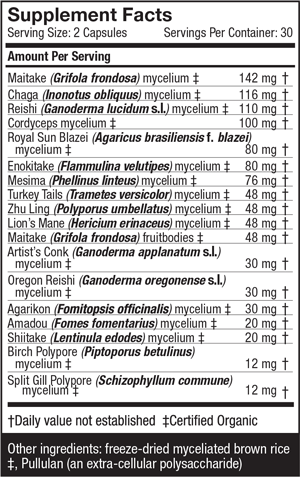 Founder Paul Stamets has pioneered the cultivation of many unique strains of fungi. Each mushroom species collected by Paul is sustainably harvested. The ecosystem remains intact and unharmed. 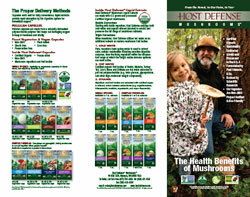 All of the Host Defense products are Certified Organic. Fungi Perfecti carefully culture the mycelium for the Host Defense products under strictly controlled laboratory conditions, supervised by Paul Stamets and his skilled staff on their Farm. This creates identical genetic matches to the mycelium found in their native habitats, ensuring the provenance and genetic vitality of each strain! you are getting a bona-fide product of the highest quality! © copyright Fungi Perfecti – reproduced with kind permission.